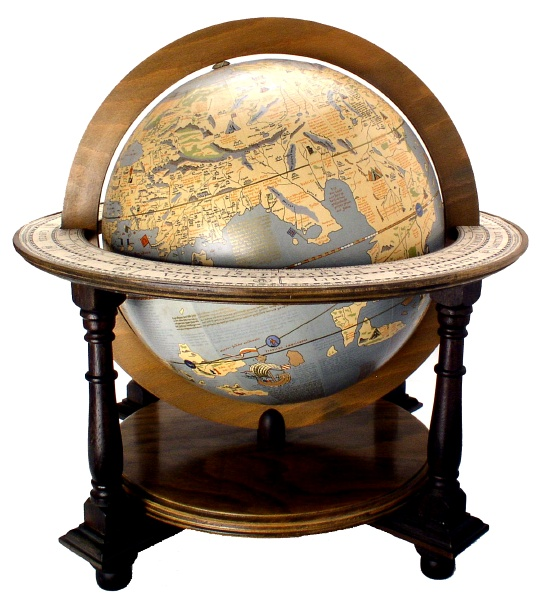 Martin Behaim arranges lands and oceans on a sphere, oblivious to the existence of the American continent. In keeping with the spirit of departure of his age, he wants to show that Asia can also be reached by traveling westward. In his model the distance from Europe heading west to Asia is much too small.